The job search involves multiple steps. One of the first steps involved is creating a reference page. The step prior to this is writing a basic resume. You will edit, tailor, and tweak your resume each time you apply for specific positions. Next you’ll want to create a separate reference page. How do you select people to serve as references? How do you create and maintain a reference page? Check out College Recruiter’s four-minute video about creating a reference page for your resume. Be sure to indicate to potential employers who will review your resume that you have a reference page available. At the bottom of your resume, type “references available upon request.” Creating a separate reference page is helpful for a few reasons. It saves space on your resume, and when employers choose to pursue you further in the hiring process and want to check references, they must contact you to obtain a copy of your references. This allows you time to quickly call or email your references; your references are then better prepared to provide positive, clear answers about your qualifications for employment. Type your reference page using the same font and format as your resume; you want to ensure that employers easily recognize that your reference page matches up with your resume if the two pages become separated. For this reason, you’ll also want to include the same or similar header at the top of your reference page listing your contact information (name, address, phone number, and email address). Always ask people before listing them as references; when people are prepared for reference checks, they can provide glowing reviews of you without feeling flustered. They are also more likely to serve as a reference in the future if you treat them with courtesy and respect by asking for permission to list them as references on the front end. If people hesitate to say yes when you ask for permission to list them as references, do not list them as references, even if they eventually give you permission. There’s some reason for their hesitation. You don’t want to take any chances on one of your references giving you anything less than a stellar review; there are many times when employers checking references pick up on tone of voice or implied hints dropped by references over the phone or even in emails. Don’t let one bad reference check cause you to miss out on a great job opportunity. Move on and ask someone else to serve as a reference for you. Try to provide more than the minimum number of references required. 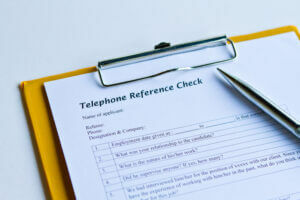 Most employers request at least three references; list five to seven instead. When human resources professionals, hiring managers, or recruiters check your references and need quick responses, this provides them with more than enough people to call or email, and if they don’t hear back from the first three people on the list, they can call one or two of your other references instead. When selecting your references, provide potential employers with variety. Think about offering recruiters a broad overview of your qualifications, including your work history, educational background, and volunteer and extracurricular involvement. Include references like coworkers, supervisors, former professors, students you partnered with on major projects, fellow volunteers, directors of non-profit organizations who managed fundraisers you participated in, etc. The longer the relationship you’ve had with your references, the better; one of the questions employers might ask of your references is how long they have known you. Select references who will not only speak highly of you but who will also speak clearly and concisely about you, and preferably in an upbeat manner. Your favorite former college professor might be the nicest guy in the world, but if he’s extremely soft-spoken and stammers most of the time, you might consider finding another former professor to ask to serve as a reference. Remember that about 80% of employers check references, with about 16% checking references prior to the interview. Be sure you select references who will serve as cheerleaders for you prior to your arrival at the interview. Avoid listing references simply because their job titles look impressive on your reference page; instead think about what your references will have to say about you. Can they provide real, concrete examples about the ways you’ve demonstrated your skills and abilities? If not, why are you listing them on your reference page? Remember that recruiters and hiring managers want to know if you’re a good fit for the open position. If your references can’t provide information to reassure employers that you’re the best candidate for the job opening, find references who can. Be sure your references know the real you. Keep your reference page updated with current contact information. Don’t make it tough on employers to check your references; they might give up if they run into snags when checking your references and move on to the next candidate in line for the job. Lastly, be sure to thank your references each time you obtain an interview or land a job. You never know the difference your references’ reviews can make in your job search. Your references serve as part of your network of supporters, and maintaining positive connections with your network always pays off. For more Tuesday Tips and job search secrets, follow College Recruiter’s blog and follow us on Facebook, LinkedIn, Twitter, and YouTube. Most college students make a list and check it twice before leaving campus during finals week. Catch up on countless hours of missed sleep during fall semester? Check. Hang out with hometown friends and reminisce about old times? Check. Curl up in Dad’s crusty old recliner and watch every episode of “The Big Bang Theory” aired since 2007? Check. There may be other items that make the list but rank lower in priority because, let’s face it, they’re simply not as fun to complete—obtain seasonal employment, complete the FAFSA online for the upcoming academic year, fill out grad school applications, stop by the local architect’s office to ask about a summer internship opportunity, etc. The list could literally go on FOR-EV-ER, as The Sandlot’s Squints puts it. Realistically, many students head back to campus in January without having completed the lower-ranking, future-focused tasks. This doesn’t seem like a big deal in January; the entire spring semester lies before you like a blank notebook. Sounds simple, right? But a blank piece of paper gets you nowhere in terms of a future career or internship (and certainly generates little cash flow). And most people, not just college students, tend to put off today what can be done tomorrow. Unfortunately, employers and recruiters don’t feel your procrastination pain. They only care if you’re the smartest and best if you’ve actually applied on time and filled their needs for openings. While you still have time and aren’t stressed by the pressure of spring courses, pour a cup of coffee, prepare to brainstorm, and draft a simple 4-step blueprint for action. 1. Accept your limitations and lower your expectations. This might sound like odd advice, but it will keep you from dropping the career-planning ball altogether. Most of us think more highly of ourselves than we ought; this causes us to set ridiculously high expectations and goals (AKA perfectionism). It’s been said that it’s unrealistic to plan more than 90 days out, so don’t do it. If you do, you’re setting yourself up for failure before you’ve begun. Eat that elephant one bite at a time. 2.Identify a few (3 to 5) key career-related goals that matter to you. These goals need to be directly related to obtaining an entry-level job after graduation or an internship during the summer of 2016. Perhaps you’re not interested in an internship but are interested in obtaining part-time employment during the summer that relates to your academic major or minor. Regardless, you might need help with this step. Who can help? a) College Recruiter’s blog. Keep reading this month and follow our blog (via email, Twitter, Facebook, or LinkedIn). During January, you’ll read about nothing but information related to helping college students plan for and obtain entry-level jobs after graduation and internships during the summer. b) Your career services office on campus. Let’s pretend your goal is to work for Target Corporation in entry-level management near Houston, Texas, and you plan to graduate in May 2016. This is a pretty specific goal (which is good—the more narrow your focus, the easier it is to set goals and action steps). Develop a more polished resume (your current resume was drafted when applying for college three years ago and hasn’t been updated since) and learn how to write a great cover letter. Improve phone/online interview skills since you live three states away from Texas and will most likely interview over the phone or online. Learn how to convey your “campus life” experiences as transferable skills during interviews since you’ve only held one part-time job and feel insecure about your lack of real-world experience. 3. Define action steps necessary to help you attain your 3-5 goals. This step’s crucial; goals are simply idealistic dreams unless you take steps to realize them. Update existing resume with part-time job, volunteer experience, campus involvement, and coursework relevant to future employment. Submit resume to College Recruiter’s free resume review service (yep, FREE) and to campus career services office. Follow College Recruiter’s blog this month for posts related to interview skills. Search College Recruiter’s blog for past articles and webinars related to interview skills. Attend mock interviews and career fairs on campus—these are free and afford you valuable practice. Work on revising your resume to reflect transferable skills and to reframe the way you think about your own skills, too. Search for job openings with Target Corporation near Houston, Texas, on College Recruiter’s website after registering. Registering first is important because College Recruiter sends you new postings (saving you time and effort). 4. Get busy. Blueprints look impressive hanging on the wall, but they’re much more impressive when framed inside the buildings built by the very architects who drafted them in the first place. Developing an action plan is tough brain work—but the real work kicks in when you crawl out of the comfy recliner (even though you have three more days of winter break) and begin implementing your plan. 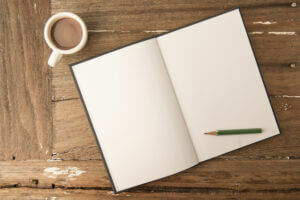 The payoff may not be immediate, but pretty soon you’ll see results—the empty page will fill with a pretty cool image you created by simply connecting the dots by taking action all semester. Viva Spain and Entry-Level Job Opportunities! Espa√±a is definitely one of my loves and if you have the good fortune to make it there and live and work there, well, then, you‚Äôre doing all right. Anyway, I suggest looking at the article I wrote before entitled ‚ÄúJob Seekers: Entry-level International Jobs Are Available! !‚Äù as there are good links there such as careerbuilder.com. I did a simple Spain search for managers and came up with at least 11 entry-level jobs in Spain. It‚Äôs a nice place to start. I also found this other site www.iwork.iagora.com that also has some promising information on entry-level jobs in Spain. This site is specifically tailored to entry-level jobs in Spain unlike some sites that list a lot of jobs and you find a few that you actually qualify for. The only ‚Äúbad‚Äù side is that to access the entire site you have to pay a fee of about $25 for the year, $12 for four months, and $7 for one month and then you will be able to create an ‚Äúiwork premium‚Äù profile. I know I always shied away from job search sites where I had to pay money for their services or either I just forced myself to be content with the free services. There‚Äôs also www.aftercollege.com that offers free and not-so-free services. To be honest, with that site the not-so-free services are pretty inadequate but you can be the judge. Again look at my previous posting to find more general international information on entry-level jobs and just specify Spain. Good luck.